Replay TV, sometimes called "Catchup TV" is a new concept for your standard Television service. Replay TV lets you access up to 72 hours of the past programming depending on the availability from the content providers. 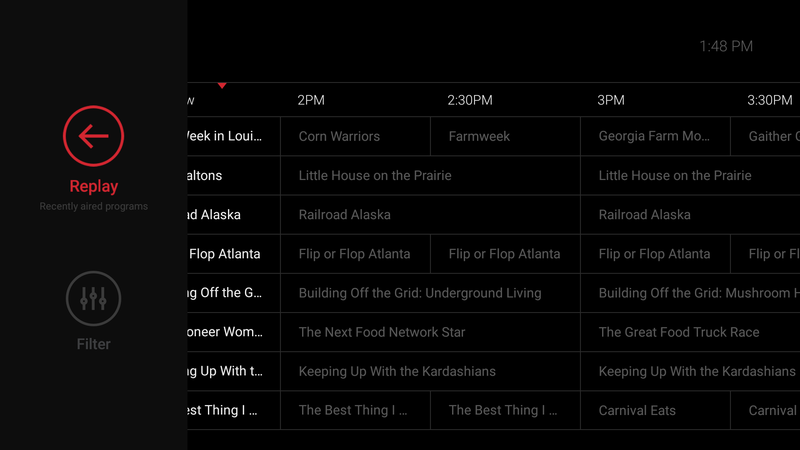 To access Replay TV first bring up the Guide then navigate left, backwards in time past the current time, or "On Now". 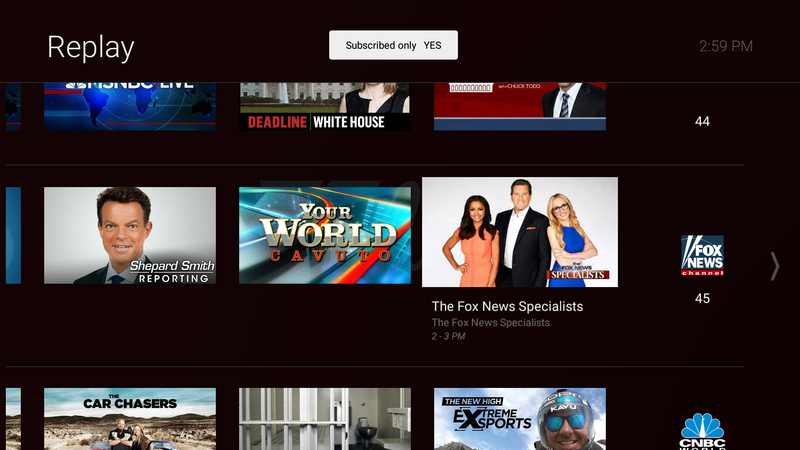 You will see a pop-up panel which gives you the option for "Replay Recently Aired Programs". You'll see that you will be viewing the shows available from up to the last 3 days on the channel that you were on within the Guide. From here you can move further back in time as well as up and down through the channels. If you don't see a channel or program you were looking for in Replay TV then the program is beyond the time available for that channel or the content provider has restricted that channel. Part of the benefit of Replay TV is the ability to Restart a program from the begining that is already in progress.